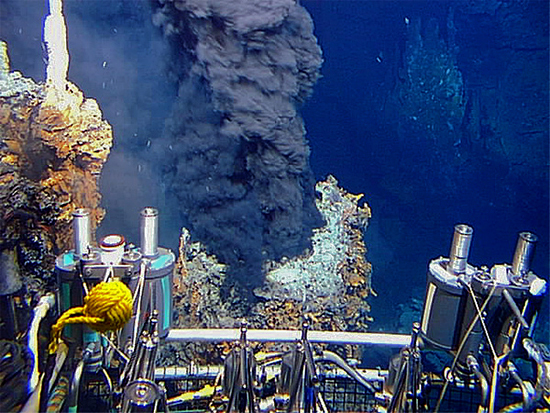 Researchers inside the submersible Alvin watch a black smoker chimney erupt from seafloor vents. Hot hydrothermal fluids surge through the chimneys at velocities of 1 to 5 meters per second. The "black smoke" consists of an abundance of dark, fine-grained, suspended particles that precipitate when the hot fluid mixes with cold seawater.